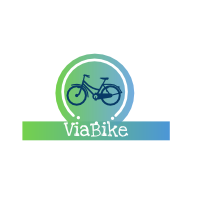 ViaBike is an app designed to disrupt the $70 billion bike tourism industry by offering inexpensive guided tours for cyclists. Guide-led bike tours are expensive–a bike tour in Brooklyn costs $70 and up and a tour in France costs $5,000 and up. You can’t stop to use the restroom, can’t be late, and sometimes can’t hear the guide talk. Google Maps and other apps are unreliable and can put you on dangerous roads. Many people join guided bike tours, use Google Maps and other apps, or look at a paper map and try their best to memorize the route when navigating a new and unfamiliar place. Our primary competition are bicycle tour operators, Google Maps, and the Detour app (for audio walks). ViaBike’s tours are much less expensive than guided bike tours and more reliable than Google Maps. Routes are pre-screened for safey and scenic appeal buying Viagra online with minimal car traffic. Users can pause and resume later and ride at their own pace. The GPS audio narration at sightseeing locations can be replayed. In-app purchases of individual tours.